Elisa V. Borah, Ph.D., Committee Chair, is an Associate Research Professor at the University of Texas at Austin Steve Hicks School of Social Work, and the spouse of an Army veteran. 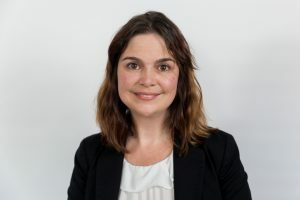 Elisa earned a Masters in Social Work from the George Warren Brown School of Social Work at Washington University in St. Louis, and a PhD in Social Work from The University of Texas at Austin. 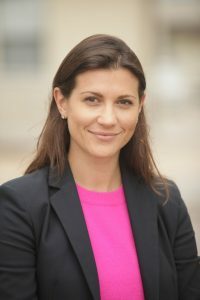 From 2010-2014, Elisa served as director of research at the Ft. Hood site of the STRONG STAR PTSD Research Consortium, a Department of Defense clinical trials research consortium, with UT Health San Antonio. Elisa leads the Texas Veteran Spouse Network that involves spouse in research related to military families and offers programs for veteran families and spouses. She has current research evaluating training in military culture for primary care doctors, and is evaluating a new program for veteran couples’ relationships. Elisa also conducts research related to increasing access to evidence-based behavioral health treatments in community and military settings, and has studied ways to reduce stigma among service members, and how military unit cohesion can improve treatment seeking and PTSD treatment outcomes. Brooke Fina, LCSW, BCD, Committee Co-Chair, is an Associate Professor and a Licensed Clinical Social Worker within the University Texas Health Science Center at San Antonio. She provides clinical services, training, and administrative support for the STRONG STAR Consortium and Consortium to Alleviate PTSD that involves over 150 of the nation’s leading experts conducting multiple clinical trials to determine the most effective treatments for PTSD, sleep disorders, suicide, and related conditions in active duty military personnel. She specializes in Prolonged Exposure (PE) for combat-related PTSD, and is a Master Clinician and Clinical Supervisor in PE. Ms. Fina oversees the development, implementation, and evaluation of all training curriculum for the STRONG STAR Training Initiative. LTC Hawkins enlisted in the Texas Army National Guard (TXARNG) as a medic in 1990. She later was accepted into the TXARNG OCS program and commissioned as a 2LT Military Intelligence Officer; she was honor graduate of her OCS class. She served as a Intel Officer, HHC XO, and Assistant S2. While serving in the TXARNG she was attending the University of Houston Graduate School of Social Work. Upon completion of MSW, she directly commissioned into the Army Reserves as a 1LT, Medical Service Corp Officer. She served in various positions in the reserves and worked full-time as a LMSW. She was mobilized for 18 months to Ft. Belvoir for GWOT. At Ft. Belvoir she served as clinical social worker at Fairfax clinic, Acting Chief, Fairfax Clinic and as a FAP case manager. After completion of her mobilization, she was accessed on Active Duty in 2006 and assigned to Walter Reed Army Medical Center as the Chief, FAP. She was assigned to Camp Casey, Korea as BDE Mental Health Officer. She was then attended a 2 yr Fellowship at Walter Reed Army Medical Center in Social Work Child and Family Practice. 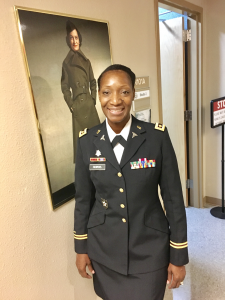 After the fellowship, she was assigned to Ft. Benning, GA, Martin Army Community Hospital, where she was the Chief, Social Work and then selected to be the Deputy Chief, BH. MAJ Hawkins, has been at Ft. Hood, CRDAMC since JAN 2015, she has served in many positions since being at CRDAMC and now is the Chief, DBH. LTC Hawkins is the recipient of the Fall 2018-2021 Army LTHET scholarship to pursue her PhD. She served in Operation Iraqi Freedom as a BDE Mental Health Officer, with 2ID, 3rd Stryker BDE from March – September 2007. She has been awarded the following Army awards: The Meritorious Service Medal, the Army Commendation Medal with 3 oak leaf clusters, the Army Achievement Medal, the National Defense Service Medal with one bronze star, Iraqi Campaign Medal, Global War on Terrorism, Korean Defense Service Medal, Armed Forces Reserve Medal, Army Service Ribbon, and Overseas Ribbon. She is married to MAJ Deric J. Hawkins and they have two daughters, Gabrielle and Destinee Hawkins. 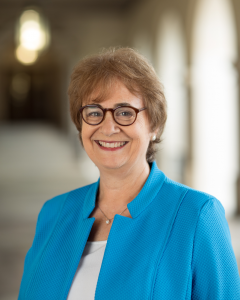 Elizabeth B. Nowicki, LCSW, ACSW, an MSSW graduate of The University of Texas at Austin Steve Hicks School of Social Work, has directed the Office of Professional Development since it was established in 2000. In this capacity, she has coordinated each of the Military Social Work Conferences sponsored by the School. Trained as a clinician, Ms. Nowicki worked in Austin-area children’s acute and residential treatment programs (1986-1992). She then served as director of the Regional Network for Children of Central Texas (1992-2000). Her professional interests, in addition to professional development, include distance learning, university/community collaboration, and child and family services. 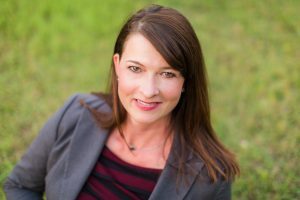 She is a member of NASW, Texas Chapter, and is also the co-chair of the Continuing Education Network (CENet) for the Council on Social Work Education (CSWE). 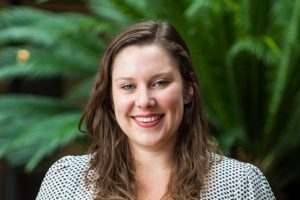 Hannah O’Brien, MSW currently serves as the Program Coordinator for two veteran family programs offered through the University of Texas Steve Hicks School of Social Work. As coordinator for the Texas Veteran Spouse Network, Hannah helps bring Texas veteran spouses together around veteran family research and fill gaps in programming. Through the Mastering Your Marriage program, in partnership with the Chris Kyle Frog Foundation, Hannah serves veteran couples and aims to help them enrich their marriage through a weekend retreat and 6 months of follow-up programming. Hannah received her Masters of Science in Social Work at the University of Texas at Austin’s School of Social Work in 2017. Before attaining her Masters, Hannah received her Bachelors in Law and Society from American University in Washington, D.C. She has worked in both the public and non-profit sectors working with children in schools, helping released offenders and those experiencing poverty find employment, and helping create programs aimed at increasing adult literacy. While at the School of Social Work, Hannah became interested in the military and veteran population, and began learning everything she could about its unique culture. It wasn’t long before she knew she wanted to make a career out of serving veterans and their families. JenniferW. Silva, LCSW-S, serves as the Assistant Chief of Social Work Services at the Department of Affairs, Tennessee Valley Healthcare System in Nashville, Tennessee. Prior to her recent transition to Tennessee, she was the Assistant Chief of Social work at the Central Veterans Healthcare System (VA). She graduated from The University of Texas at Austin School of Social Work in 2003 with her masters of science in social work. Silva’s main areas of focus include issues related to assessment and treatment of behavioral health, suicide prevention and medical social work in the veteran population. She has spent her career in multiple clinical arenas including CPS, Medical Social Work and Crisis Intervention. In addition to her role in VA, she has served as an adjunct assistant professor at the School of Social Work, teaching a graduate level class on the specific needs of the active duty and veteran populations. She has a passion for leadership development in addition to her clinical love of crisis intervention. COL Jeffrey S. Yarvis, PhD, LCSW, BCD, ACSW a published social work and military scholar in the field of psychological trauma for nearly 30 years, has practiced internationally with disaster, domestic violence, child abuse, sexual abuse, accident, and war-induced trauma across many different cultures and populations. He has conducted international research and partnerships in Canada, Iraq, Germany, Ukraine and Romania on issues related to PTSD and presented his work to over 100 national and international conferences and published over 60 scholarly manuscripts and book chapters. He has received numerous honors for his humanitarian efforts to include 2015 Top 100 Executives Under 50, 2008 Uniformed Services Social Worker of the Year, 2008 U.S. Army Social Worker of the Year, 1997 ISTSS/TX Mental Health Professional of the Year, Randolph High School (NJ) Hall of Fame, and numerous decorations to include the Bronze Star Medal, Combat Action Badge, induction into the Order of Military Medical Merit. He received the US Army’s Alpha Proficiency Designator as a full professor and military scholar in social work. COL Yarvis is adjunct faculty for University of Southern California military social work program – Virtual Academic Center, Texas State University School of Social Work and Texas A&M University-Central Texas School of Social Work . 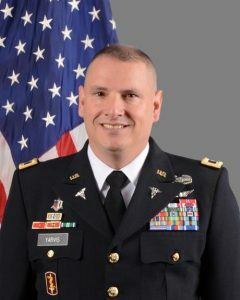 He is currently the Deputy Commander of one of the Army’s premier medical centers. In December, he will become the first social worker to command an Army hospital, the 21st Combat Support Hospital. Eugenia L. Weiss, PsyD, LCSW, is an educator and a California licensed clinical social worker and licensed psychologist. 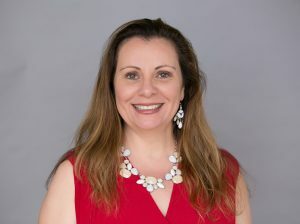 She is Clinical Associate Professor at the University of Southern California (USC), Suzanne Dworak-Peck School of Social Work and currently serving as the Director of the Orange County Academic Center and was previously the director of the San Diego Academic Center. She maintained a private practice for 18 years working with military personnel and their families. She is the author and co-author of multiple peer-reviewed journal publications and is co-author of a book titled A Civilian Counselor’s Primer to Counseling Veterans (2nd ed., Linus Books, 2011) and co-editor of several books;Handbook of Military Social Work (Wiley & Sons, 2013); Supporting Veterans in Higher Education: A Primer for Administrators,Faculty and Academic Advisors(Oxford University Press, 2015); Transformative Social Work Practice (Sage, 2015) as well as The Civilian Lives of U.S. Veterans: Issues and Identities (ABC-CLIO, 2017). Recipient of the Hutto Patterson Foundation Award for Distinguished USC School of Social Work Faculty, representing excellence in teaching, service to the university, school and community; and accessibility to students. Her research interests include military/veteran behavioral health, diversity, higher education, and leadership. She is also an Academy Fellow in Higher Education Leadership from the University of California, Berkeley. Serves as Board Member of the Council of Social Work Education (CSWE) – Council on the Role and Status of Women in Social Work Education and Chair of Higher Education Working Group and Steering Committee Member– Orange County Veterans and Military Families Collaborative. Lastly, but most importantly, a proud Army mom.